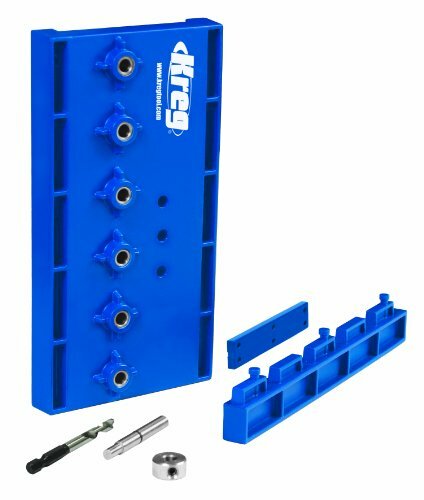 If you are looking to add shelf pin holes to an existing piece of furniture or building shelves from scratch, the Kreg Shelf Pin Jig is the perfect tool for the job. Unlike other shelf pin guides, the Shelf Pin Jig features hardened steel drill guides which ensure precise, straight drilling and a dual position adjustable fence for custom hole placement. There is drill bit storage built in to back of the jig.